Extrage, organizează, editează și produce fișierele tale muzicale! 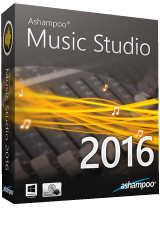 Ashampoo Music Studio 2016 copiază, organizează, editează și produce fișierele tale muzicale. Pe lângă conversiile multi-format și un design puternic pentru coperți, programul oferă și unelte pentru înregistrare sunet și organizarea colecției muzicale. Selectează din opțiuni variate pentru a redenumi fișierele tale în baza unei scheme de numire coerentă, editează metadata sau analizează melodiile tale. Abilitatea de a extrage coloana audio din video sau de a creea mixuri de melodii cu efecte de cross fading completează imaginea pozitivă. Creează discuri MP3 sau WMA. As will be seen, all of those are said by Ashampoo to be compatible with Windows Vista thru Windows 10. Thanks to Ashampoo's comprehensive provision of information about all its products, it's always easy to decide whether it's suited to an individual's needs, or not. The developer has an excellent reputation for its software even if I, personally, don't think it does itself any favours with its style of marketing. That carping aside though, it continues to offer quality with value (note: for 'members') so today's promotion is a handy introduction -- if required -- not only to this particular product but to Ashampoo in general. Just to clarify. . . If anyone is -- understandably -- a bit confused about the way Ashampoo does things: 1) If an Ashampoo product has <b>a version number, </b>then it's <b>the full retail product; </b> 2) If an Ashampoo product has <b>a year number,</b> then it's <b>a freebie</b> that may well be derived from a superseded version; 3) Music Studio <b>2016 </b>actually costs nothing at all. 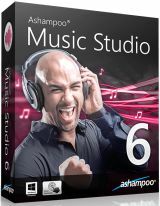 It is Music Studio <b>6 </b>which has a retail sticker of $49.99. The freebie product is a pathway -- if so desired -- to acquiring the retail product for an apparently discounted price of $14.99; 4) Ashampoo has always operated two-tier pricing: a seemingly high retail for folks who know no better, a considerably lower one for those who do. That lower price is available to everyone who owns at least one licensed, retail Ashampoo product and has registered with Ashampoo. All that's necessary is to log in to the user's Ashampoo account and two prices will <i>always</i> be shown for <i>every</i> product: the 'retail' price, and the 'member' price; (5) Ashampoo always provides a full description of OS compatibility in the specs list for each of its products. However: that description may not necessarily appear in a promotional summary, which is why the absence of any mention of Vista in today's summary has already confused some GOTDers. Where Music Studio (in all its versions) is concerned, it's best to simply check with the developer's website features list, as follows: Music Studio 5, September 2014 (mentioned here because it's possible that some of its features are in today's giveaway): https://www.ashampoo.com/en/usd/pde/0730/multimedia-software/music-studio-5 Music Studio 6, July 2015 (the current version): https://www.ashampoo.com/en/usd/pde/0930/multimedia-software/music-studio-6 and Music Studio 2016, February 2016, today's giveaway: https://www.ashampoo.com/en/usd/pde/1130/multimedia-software/Ashampoo-Music-Studio-2016 As will be seen, all of those are said by Ashampoo to be compatible with Windows Vista thru Windows 10. Thanks to Ashampoo's comprehensive provision of information about all its products, it's always easy to decide whether it's suited to an individual's needs, or not. The developer has an excellent reputation for its software even if I, personally, don't think it does itself any favours with its style of marketing. That carping aside though, it continues to offer quality with value (note: for 'members') so today's promotion is a handy introduction -- if required -- not only to this particular product but to Ashampoo in general. Appreciate that info and the time you put into that very much! <b>MikeR</b> Fantastic job MikeR :^} Appreciate that info and the time you put into that very much!
" Ashampoo has always operated two-tier pricing..."
I'd add that if you opt to get their emails you will get special offers, including occasional name-your-price promos, where you make them an offer, & see if they'll sell it to you at that price. <b>MikeR</b> <i>" Ashampoo has always operated two-tier pricing..."</i> I'd add that if you opt to get their emails you will get special offers, including occasional name-your-price promos, where you make them an offer, & see if they'll sell it to you at that price. failing me, but this offer doesn't appear to be Ashampoo's typical "SE" version. What is the difference between this download (45 MB) and the "Music Studio 2016" (45.2 MB) available for free on their website ? Maybe my eyesight is failing me, but this offer doesn't appear to be Ashampoo's typical "SE" version. 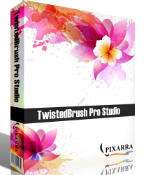 That's for Music Studio 6 not this version 16. And there's no need to shout. <b>Private</b> That's for Music Studio 6 not this version 16. And there's no need to shout.